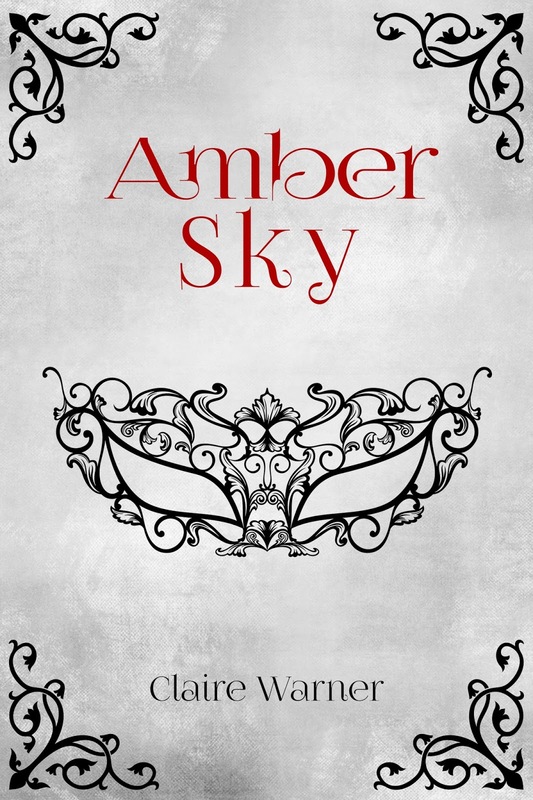 Welcome to my stop on the Amber Sky blog tour! Set into the side of one of the wardrobes, and etched in gilt, the full-length mirror gleamed slightly in the light. With a sigh, Tay stepped forward. Her image swam into focus, and she took a step back, startled at the reflection she saw before her. The slightly timid house maid had vanished, replaced by some richly dressed stranger. The deep crimson dress fitted in all the right places, and the rustling taffeta held a glossy sheenwhich glowed beneath the lights. Small clusters of jet and crystal were stitched across the bodice and full skirt, and they glittered as the light struck them. ͞Beautiful,͟ Beth answered, a slight hint of regret in her voice. 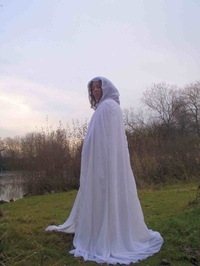 ͞And not at all like yourself.͟ She walked forward and brushed an imaginary bit of dust from the back of the dress. ͞Now you’d better get going.͟ She stepped back and jumped slightly as Tay flung her arms about her. she stepped back, and headed for the living room. She pushed open the door and stopped at the sight of Darius sitting in one of the chairs. As the door swung open, he jumped to his feet. Tay was gratified to note that his mouth opened slightly in shock as he took in her appearance. A moment of stunned silence fell over the pair of them as each regarded the other. Darius had also dressed for dinner, and Tay ran her eyes across his elegant garb in stupefied appraisal. He had been handsome before, but now, she closed her mouth as she realized that she was staring. The plot of this book was really interesting to me and it gave off a historical fiction meets dystopian meets uprising feel and I live for that. The cover is also really stunning in its simplicity and really drew me in. Our main character is named Tay and she grew up “in the bottom of the barrel” and she was just awesome. She was brave, loyal and intelligent. I loved her she was so much fun to read about and she took everything in stride and I am dying to get my hands on the next book so bad! Darius, I knew I was going to love him from the synopsis alone! The you owe me trope kills me every time. I was happily surprised when Darius agreed to help initially however and not drag that out. I’m used to that plotline being drawn out so I’m so excited that it wasn’t like that. I love more “political” books than anything and I found the twists in this one really enjoyable and It is killing me waiting for the next book to come out. The world was really well developed and I was really interested in the political elements and I can’t wait to learn more about the world and more about the C.O.I.L.S. I did have a little trouble keeping up since it is a first book in a series I’m not to worried about that since it will most likely be explaied later in the series. However, that didn’t slow me down in enjoying this and reading the whole of this book in one day. I really recommend this to anyone who loves Fantasy or Dystopian especially if you like political intrigue! When I was a child, I made up games and characters when my sister and I played with dolls. As I grew older, I would make up scenarios and scenes, fully intending to write them down but never finding the time. In my late teens, I discovered the world of role playing and settled into an avid ͚geeky͛ life of D&D, comics, sci-fi and fantasy fiction. Years passed and I finally gave voice to the stories in my head. I write romance, fantasy, action and adventure. I love tales of steampunk and history, tales of magical powers and dark curses lurking in the shadows. Though The Black Lotus is not my first attempt at a novel, it is the first I have finished. I͛ve been a film extra and stood 5 feet away from Sam Rockwell. Previous Kindle Unlimited: Is it worth it?